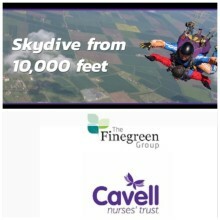 Finegreen's Skydive for Cavell Nurses' Trust this October - Donate today! On the 6th October 2018, 4 of the ladies from The Finegreen Team will be jumping out of a plane in their first ever sky diving experience! At the same time Beverley, Donna, Katie, and Olivia will be raising money for charity. 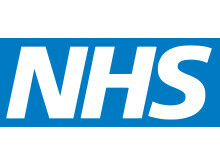 100% of your donation will go to the Cavell Nurses' Trust, a charity we are proudly one of the 10 'founder' members of their 'Working With' initiative launched last year. 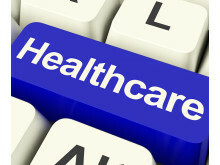 Finegreen delighted to raise over £120 in cake sale for Cavell Nurses' Trust! 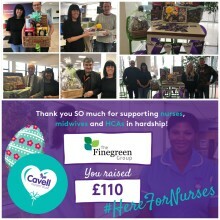 The Finegreen fundraising team had an excellent day raising over £120 at our cake sale in aid of Cavell Nurses' Trust. Thank you to everyone who supported this great cause! 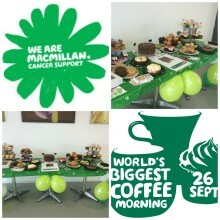 Finegreen supporting Macmillan Cancer support 'World's Biggest Coffee' morning today! 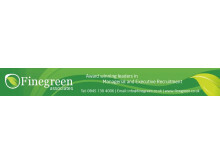 The Finegreen team are proud to be supporting Macmillan Cancer support and their 'World's Biggest Coffee' morning taking place today. 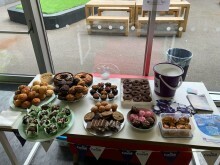 With a selection of delicious cakes on offer (all made by the Finegreen team! 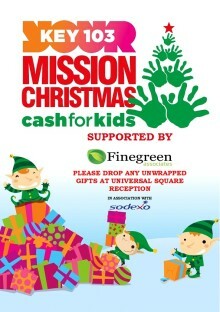 ), if you're in Manchester today do pop over! 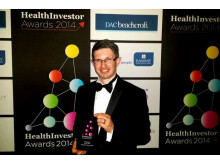 We've got a table in the main restaurant at Universal Square and there's also a raffle for this fantastic cause.